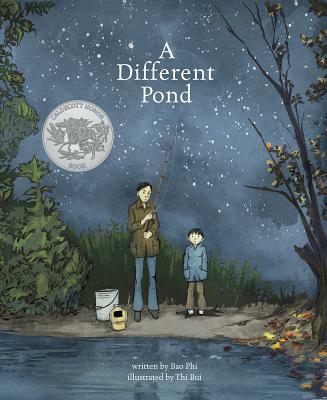 A 2018 Caldecott Honor Book that Kirkus Reviews calls a must-read for our times, A Different Pond is an unforgettable story about a simple event - a long-ago fishing trip. Graphic novelist Thi Bui and acclaimed poet Bao Phi deliver a powerful, honest glimpse into a relationship between father and son - and between cultures, old and new. As a young boy, Bao and his father awoke early, hours before his father's long workday began, to fish on the shores of a small pond in Minneapolis. Unlike many other anglers, Bao and his father fished for food, not recreation. A successful catch meant a fed family. Between hope-filled casts, Bao's father told him about a different pond in their homeland of Vietnam. Thi Bui's striking, evocative art paired with Phi's expertly crafted prose has earned this powerful picture books six starred reviews and numerous awards.